First it was Mike Karney, and now it's Ovie Mughelli. Undrafted fullback Brit Miller has managed to beat out both veterans during his tenure in St. Louis. It's clear by today's cuts that the Rams are more interested in a fullback who can play special teams rather than one who can block for Pro Bowl running back Steven Jackson. There's no doubt that good special teams play is something needed to win football games, but so is a top-tier blocker who can open holes in the running game and protect in the pass game. According to Pro Football Focus, Miller had both a negative run and pass blocking grade in 2011. Out of the 68 fullbacks they graded, he was 61 spots down on the list. In the run game, running backs only averaged 3.6 yards a carry when they ran off his backside. Even though Mughelli was 10 spots higher on the list, he didn't prove to be much better in 2011. Undrafted free agent Mike Cox proved to be the cheaper and more stable of the two. But was Mughelli's play in 2011 a sign of his drop off, or was it just a slow start to the season? Unfortunately, we never had the chance to find out because of a Week 7 knee injury that forced him to miss the rest of the season. In 2010, his last full season, he managed to make the NFL All-Pro team and was selected to his first Pro Bowl. During that season he was also used as a pass catcher. Atlanta quarterbacks targeted him 17 times, which in turn saw him catch 13 balls for 126 yards and one touchdown. That season PFF had him ranked as their second-highest graded fullback on the season. Seemingly, it's no surprise that Jackson has missed a quality lead blocker in the run game. After Madison Hedgecock was released in 2007 by then inept head coach Scott Linehan, the Rams have been trying to find his replacement ever since. However, there is a chance Mughelli is brought back after the season has started. If that's the case, his salary won't be guaranteed, and they won't have to worry about investing a whole year's worth of pay if he injures his knee again. 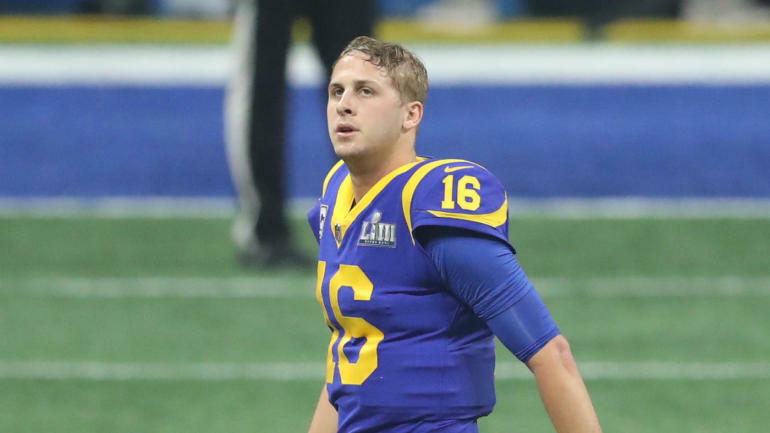 If you're the Rams, it is definitely a scenario worth thinking about. He has looked like the best blocker in the Rams backfield all preseason long, and he may just have one or two good years left in him.